Distressed home sales (foreclosures, REO’s and short sales) made up 13.5 percent of the home sales in the U.S. in February, 2015, a decline of 18% from a year ago when the rate was 16.5 percent and is a decline of 5.6% from January when the rate was 14.3%, according to a report just released by Corelogic. The rate of distressed home sales in February 2015 marks the lowest rate for the month of February since February 2008, according to the report. During the peak, January 2009, distressed home sales accounted for 32.4 percent of al home sales with REO sales making up 27.9% of that share. 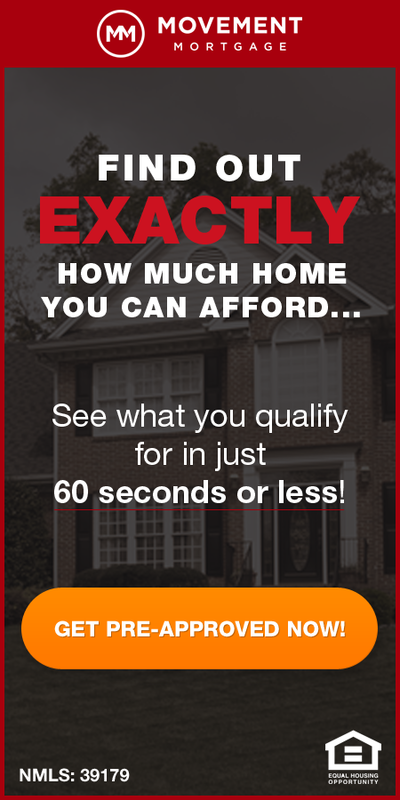 In February, 2015, REO sales accounted for 9.7 percent of all home sales, a decline of nearly two-thirds (65.23%). 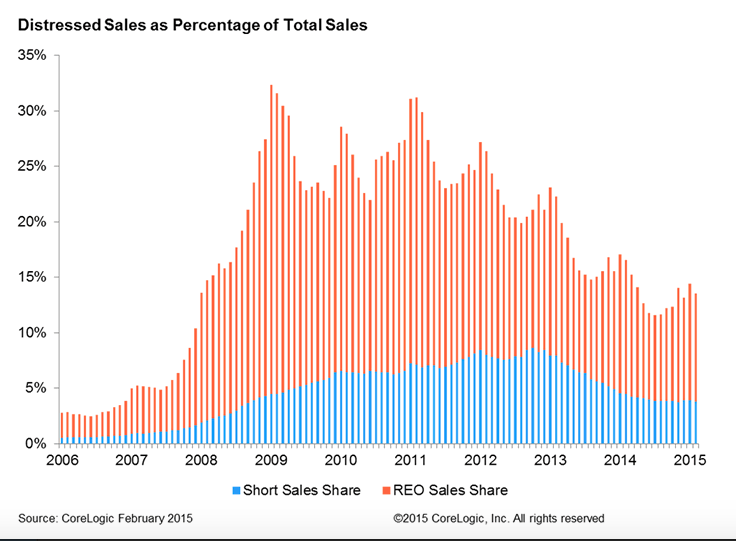 Quite different than the figures for REO sales, short sales accounted for 4.5% of all home sales back in January 2009 and still accounted for 3.8% of them in February 2015, for a decline of just 15.6% percent. Even with the declines, we are a far way from “normal”….prior to the real estate market crisis, distressed home sales made accounted for just about 2% of home sales so we still have a long way to go. Michigan had a higher share of distressed home sales than any other state with 22.6 of its home sales being distressed sales. Next was Florida (22.2 percent), Illinois (20.4 percent), Maryland (19.1 percent)and Connecticut (19 percent).